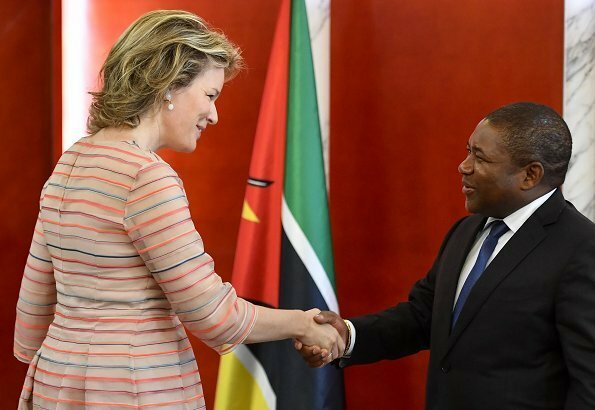 On the last day of Belgian Queen Mathilde's working visit to Mozambique, The Queen began the day with a visit to the Presidential Palace in Maputo. The Queen attended a meeting with President Filipe Nyusi of Mozambique. 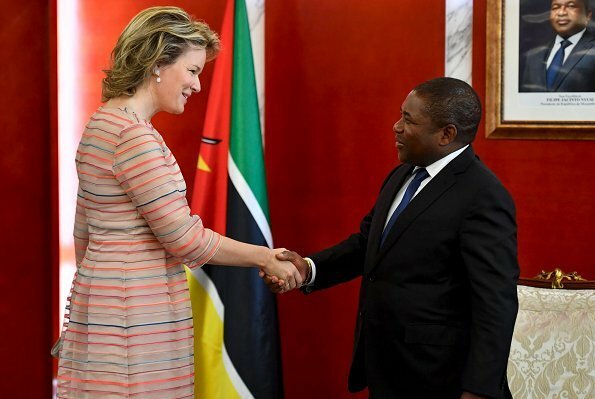 Afterwards, The Queen attended a luncheon hosted by First Lady Isaura Nyusi. 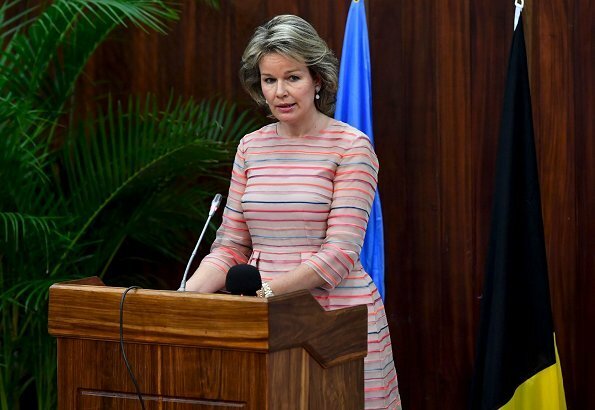 After the luncheon, Queen Mathilde visited Eduardo Mondlane University. Afterwards, the Queen visited the headquarters of the Mozambique’s National Disaster Management Institute (INGC). INGC is a government agency which is responsible for coordinating the Disaster Risk Reduction (DRR) actions in Mozambique. During the visit, INGC General Director, Augusta Maita gave information to The Queen about the new technology used by INGC in responding to natural disasters. Natural disasters have been affecting Mozambique cyclically. The General Director also gave information about the use of drones for mapping both disaster prevention and response. 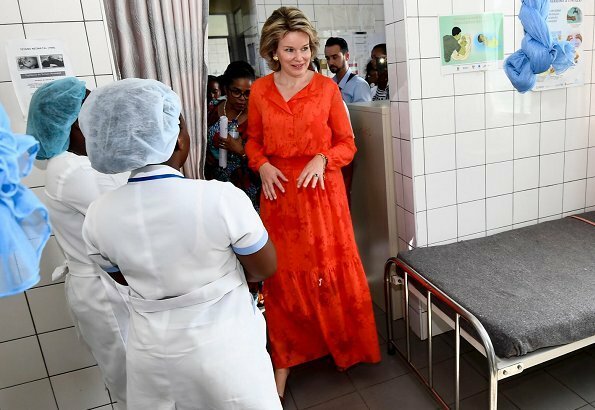 The Queen then visited the Habel Jafar Health Unit at the Habel Jafar Health Center in Marracuene. That center offers assistance to 23,000 people and provides preventive, stimulating and curative care at no additional cost or for a minimal fee. 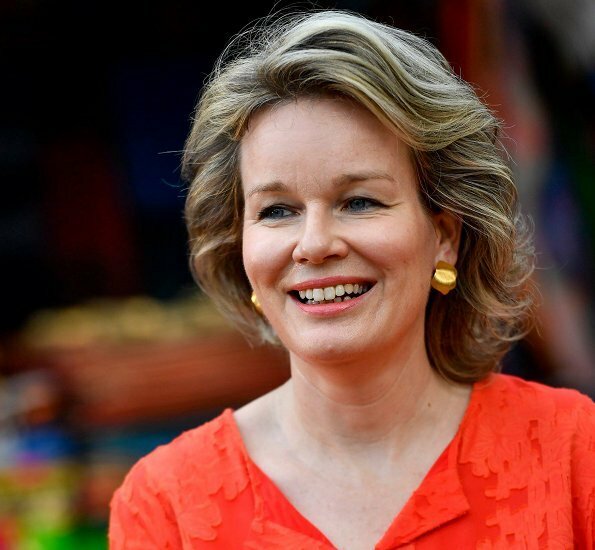 The orange blouse paired with matching, tiered orange skirt is the only outfit here that looks really great on Mathilde, imo. Her hair is gorgeous in most of the pics.